Human Rights Activist News Agency (HRANA) – Forty-two-year-old political prisoner Mohyeddin Ebrahimi has been convicted of cooperating with a Kurdish opposition party and sentenced to death by Judge Ali Sheikhloo in Branch 2 of Urmia’s Revolutionary Court. He is currently being held in Section 12 of Urmia Prison in northwestern Iran. A close source told HRANA that Ebrahimi has been recovering from three gunshot wounds for the better part of a year in the Urmia Prison clinic. He was shot during his arrest on October 23, 2017, at the Iran-Iraq border, where he was found to be carrying a walkie-talkie and accused of alcohol possession. HRANA’s source indicated the court was flippant in its verdict on Ebrahimi’s case, verbally presenting the charge of “cooperating with a Kurdish opposition party” — punishable by death — while skipping over portions of the judicial process provisioned by law, e.g. formal questioning, providing him with a hard copy of his charge sheet, or the hearing of any statements in his defense. Ebrahimi’s record shows a history of alcohol charges: a 2010 arrest for which he spent 11 months in Urmia prison before being acquitted, and a 2014 charge that was eventually dropped due to lack of evidence. According to Amnesty International’s annual report, Iran ranks first in the world in executions per capita. Mohyeddin Ebrahimi is from the village Alkaw, near the city of Oshnavieh, West Azerbaijan Province. Human Rights Activists News Agency (HRANA) – A hostage of judicial bureaucracy for six years and counting, political prisoner Meysam Chandani, 28, has recently experienced a serious psychological downturn, a close source told HRANA. Currently held in section 4 of Zahedan Prison in the southeastern province of Sistan and Baluchestan, home to Iran’s Baloch minority, Chandani was arrested six years ago by the Ministry of Intelligence forces of Saravan county and charged with “acting against national security,” “Moharebeh (enmity against God) through armed activities,” and “membership in an opposition group.” Unable to post his 5 billion toman (approximately $1,250,000 USD) bail, he has been waiting on his sentencing–or any updates at all–ever since. In the meantime, prison officials refuse to attend to his medical needs, which according to eyewitnesses reports are growing more serious by the day. While prison management has no direct responsibility to nudge the judiciary about lagging case files, they have been slow to address the prison’s dearth of communication channels with the judiciary and its general lack of social aid workers, shortcomings which make the follow-up process too difficult for some prisoners to undertake themselves. 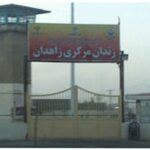 Overpopulation has become a prevailing issue at Zahedan prison, where officials routinely disregard or postpone consideration of prisoner requests for sentencing reduction via part-time sentence schedules, furlough, and conditional pardon. 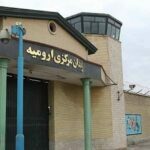 HRANA has previously reported on general lack of medical treatment in Zahedan Central Prison, based on interviews with eyewitnesses. The prison also hosts many who suffer from legal limbo like Chandani. This is in direct contravention of Article 9 of the International Covenant on Civil and Political Rights–of which Iran is a signatory–which guarantees arrestees the right to a prompt trial and to be promptly informed of the extent and nature of any charges on which they are being detained. 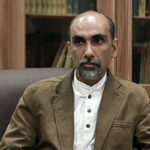 Human Rights Activists News Agency (HRANA)- Mostafa Tork Hamedani, attorney of Hengameh Shahidi, imprisoned journalist and human rights activist, has filed suit against the judge presiding over his client’s case. Reporting that requests from himself, Shahidi, and Shahidi’s mother to appoint him as her attorney have been submitted and summarily rejected, Hamedani has continued to speak on his client’s behalf, announcing that Shahidi is still in custody and that her case has been forwarded to Revolutionary Court. Ministry of Intelligence forces arrested Shahidi on March 9, 2017, citing her collaboration with a media network. Hamedani said that the Ministry of Intelligence was the plaintiff in the above case, and that Shahidi’s arrest warrant was issued by Branch 2 of Culture and Media Court. She was released on August 28, 2016 after six months in detention. * In national security cases, amendment 48 to Iranian’s Code of Criminal Procedure obliges the defendant to choose a lawyer from a list pre-approved by the judiciary. Iranian authorities leverage “national security” charges against most political prisoners. Human Rights Activists News Agency (HRANA) – In the last few weeks, a number of prisoners across the country have declared hunger strike. HRANA has prepared a bulletin on their cases, previously reported in detail. Nasrin Sotoudeh started a hunger strike on August 25th in protest to her arrest and the judicial pressures being placed on her family, relatives, and friends. She published an open letter outlining her reasons for the strike. Sentenced to death, Ramin Hossein Panahi was recently transferred to Karaj’s Rajai Shahr Prison and declared hunger strike on August 27th by sewing his lips together. He is protesting his sentence and multiple violations of his legal rights. His lawyers published a statement sharing the reasons behind the strike. 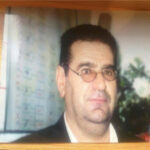 According to them, his whereabouts have been unknown since his August 26th transfer out of Rajai Shahr. Farhad Meysami was arrested July 31st by security forces. He started a hunger strike August 1st, protesting his arrest and the constraints being placed on his choice of attorney. He was transferred from Evin’s Quarantine Ward to the General Ward on August 26th, where he is reportedly suffering from low blood pressure and drastic weight loss. Sunni prisoner Namegh Deldel from hall 21, Ward 7 of Rajai Shahr Prison has been suffering from an injury to his right leg. In protest of his restricted access to medical care, including the prison’s refusal to transfer him to an outside hospital, he has been on hunger strike for more than a month. Farhad Ariai (Sahrapeyma), a political prisoner in the Workers’ Ward of Urmia Prison, is in the sixth year of his seven-year sentence. Eligible for early release per Article 134 on the serving of concurrent sentences, he declared hunger strike on August 15th when the court refused to review his request thereof. According to a credible source, Ariai was transferred to the quarantine ward immediately after starting his hunger strike. Ariai also declared hunger strike last year when prison officials denied his request for furlough. In response to that strike, prison staff forcibly handcuffed and transferred him to the Workers’ Ward of the prison, where he remains to this day. Seyed Ghassem Abasteh, a Sunni prisoner in Karaj’s Rajai Shahr prison, started a hunger strike on July 17th to protest his inadequate medical care and the prison’s denial of his access to a clinic. Despite developing asthenia and severe weight loss as of the fifteenth day of his strike, prison authorities continue to ignore his pleas. His poor health condition has been repeatedly reported on, and in March, he was diagnosed with thyroid cancer. His condition has deteriorated to the point that he struggles to speak and breathe. Abasteh is married with two children. He was arrested in early 2010 and sent to solitary confinement in Urmia Prison, which is run by the Ministry of Intelligence. He spent eight months there before being transferred to Evin Prison, where he spent six months in the solitary cells of wards 240 and 209. After 14 months, he spent another 20 days in Ward 350 of Evin before finally being transferred to Rajai Shahr on April 8, 2012. He faces charges such as “militant activity”, accused of backing Salafi groups. He denied such involvement, saying the charges are baseless. He has been awaiting trial since his 2016 prison sentence from Judge Moghiseh was nullified. He has thus far spent eight years in prison without due process. Saman Rahmani, a prisoner in the Health Ward of Saqez Prison, is on the verge of losing his arms after suffering an injury, yet continues to be denied the rights of furlough and access to a clinic. He started a hunger strike on July 20th in protest. “Rahmani was to be sent to Karaj’s Rajai Shahr prison for care, but prison authorities changed their minds,” a credible source told HRANA. When authorities promised him medical care earlier this year, he stopped the hunger strike he had started in June for the same reasons. Sunni prisoner Farshid Nasseri of Rajai Shahr started a hunger strike on June 16th to demand his right to furlough. Twenty-eight days later, his condition had severely deteriorated. He suffers from back and neck problems, in addition to psychological issues stemming from his years spent in prison. On August 19th, on orders from a Ward chief penalizing their refusal to end their hunger strike, five prisoners from Ward 3 of Rajai Shahr were beaten and sent to solitary confinement. 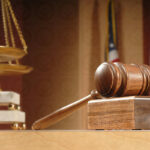 They were reportedly striking to protest issues with their respective legal cases. 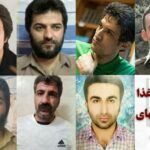 HRANA understands these prisoners to be Verya Saed Moochashmi, Hossein Esmaeili, Saeed Moradpour, Mojtaba Kounani, and Alireza Kounani. As of yesterday, August 27, 2018, Moochashmi is the sole among the group to continue the strike. In 1998, Moochashmi, then 17, was sentenced to death and 80 lashings when he was convicted of aiding and abetting murder. He has so far served 21 years in prison. 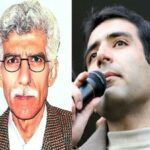 HRANA News Agency – Majid Tavakoli and Riaz Sobhani have returned to Rejai Shahr Prison at the conclusion of their three-day furlough. Both prisoners were granted a leave on August 23 and required to report back to prison on August 25. Their requests for an extension have been denied. HRANA News Agency – Kurdish teacher Mohammadamin Agoshi, 53, began his hunger strike in Zahadan Central Prison on June 30, 2013 after authorities turned down his request for furlough or conditional release.